I finally got to play with the new Cricut Teddy Bear Parade cartridge. I love this cart with all of it’s teddy bears dressed for every occasion you can think of. Mine is dressed and ready for my niece’s birthday party. He’s even bringing the balloon animals. I just hope he behaves. The bear is adorable! Your choice of paper is perfect! He’s perfect! Love the polka dot balloon animal and all of the great patterned paper choices. Love his over-sized clown shoes and red nose too! I’m sure he’ll behave – he looks like a clown professional! I honestly think that this might be one of my FAV cards!!!! I need to check out the handbook to see if they dressed him this way or if you thought to make his clothes with the different patterns…I think it makes him the BESTEST CLOWN EVER!!! I love everything about this little guy! The pattern papers are aweome and he’s just too dang cute! 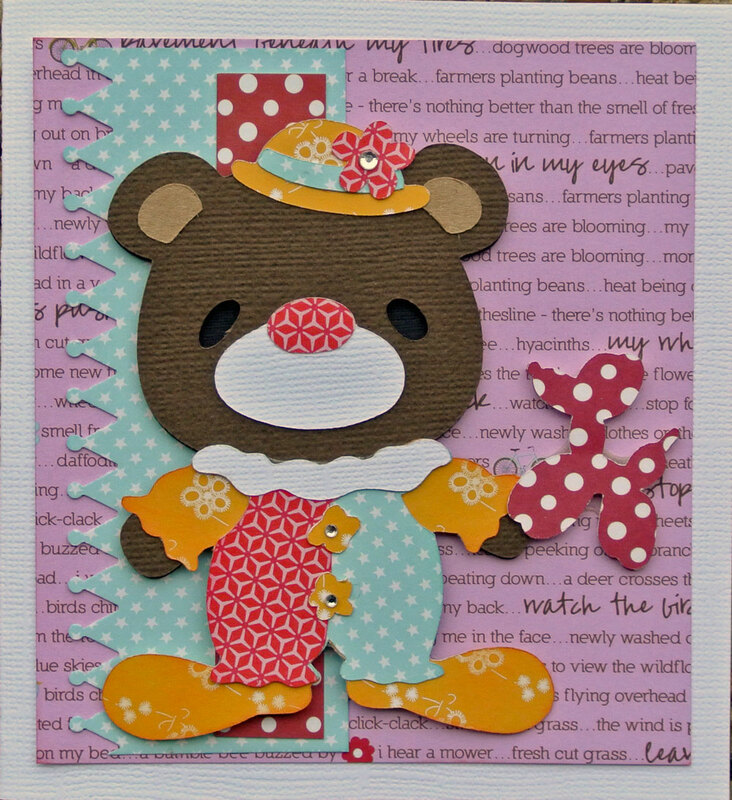 Adorable card — love the patterned paper you used and the balloon animal!! On my gosh Sara this is adorable! I really need to dust off my Cricut! LOL!